Australia– Foxtel Go (requires Foxtel subscription) – iOS, Android. All Premier League games live. Russia/Global ws – another Russian site with SopCast streams, sometimes it overlaps with LiveFootball, but not always. Sweden Viaplay – 249kr/month for TV + Movie + Sport, PL and CL football plus lots of other sports. USA– beIN Sport Play – Legal streaming of La Liga, Serie A, Football League, Ligue 1, Russian Premier League, and more. Needs authentication to use. 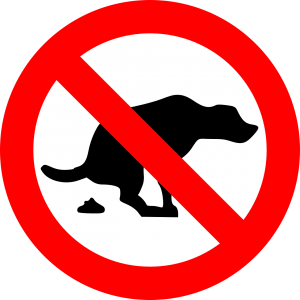 UK– BT Sport – one EPL game a week, other football. available to subscribers. Reddit soccerstreams – excellent source of streams for almost any game, for flash, Acestream and Sopcast. Recommended VPN: Cyberghost VPN You should never use free proxies, often they are spyware or open your IP address to unknown parties online. Install them, then go to reddit soccerstreams, choose the match you want to watch, check the comments, and enjoy your game! Sopcast – link starts with sop:// – your browser will ask you how to handle this link, choose sopcast. It will open and try to connect to the stream. After it’s buffered it will start playing. It’s usually choppy and not the best looking, so that’s why I use VLC. In Sopcast, go to options, set extrenal player to vlc and every time you connect to a stream you can pause the sopcast playback and then click on the left button  – your stream will start playing in VLC, where you can set up filters, deinterlacing, resize window and have a better looking picture overall. ACE Stream – link starts with acestream:// which opens a player similar to VLC and starts playing or it can be a web page with a flash window similar to firstrow, except it uses acestream browser player and the quality is much higher. Flash videos play directly in the browser. Quality is often lower, and the sites are often filled with ads, so this should be your last resort. Originally posted to /r/soccer and /u/nikub. Posted in acestream, guide, streaming, torrent streaming sport guide on December 5, 2015 by Patrick. 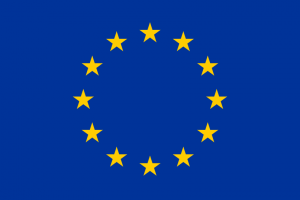 Use a VPN – Streaming is a legal grey area in some countries. Many of the links above are restricted based on geography (meaning you can only watch ITV within the UK, for example). I recommend Cyberghost VPN to protect your privacy and get around geo-restrictions. It’s a premium service that is well worth paying for. Adblocker – I recommend uBlock Origin. Many streaming sites are plastered with annoying ads. Block them with this software. Free. Livestreamer software. Instead of watching in your browser, you can instead stream to VLC or other media players of your choice. This is for more advanced users, involves using a command line. Free and open source. Acestream. Best quality, HD streams with minimal lag. Here is my guide to setting up Acestream for rugby games. Free. Acestream involves using peer-to-peer (P2P) services. Sometimes these are in a legal grey area depending on your geographic location. 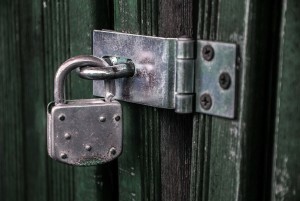 More information regarding how they keep your data private from their FAQ. Using a VPN also allows you to stream from sites that are restricted to certain countries (geo-unblock). 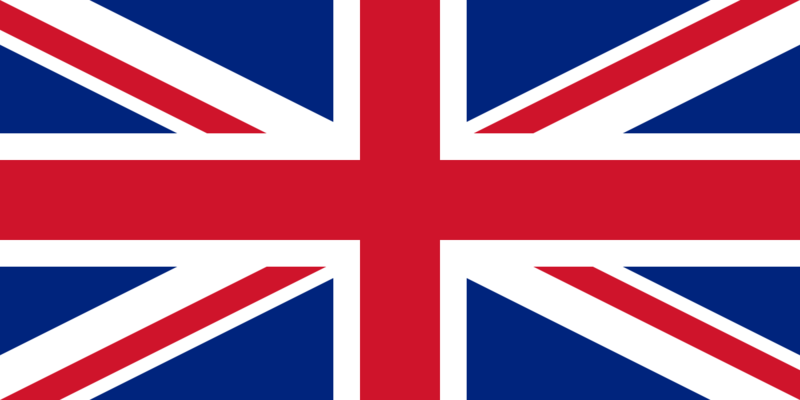 Posted in acestream, guide, rugby, rugby world cup 2015, torrent streaming sport guide, watch hd sports online on August 16, 2015 by Patrick. You’ll be streaming in no time. Here is a complete list of everything you need to set up Acestream on Mac: where to find good streams, how to correctly copy and paste acestream links and how to fix lagging and buffering. Acestream involves using peer-to-peer (P2P) services. Sometimes these are a legal grey area depending on your geographic location. I use NordVPN (disclosure: affiliate link, please consider using this link if you find this guide useful, thank you!) More information regarding how they keep your data private from their FAQ. Acestream is designed for Windows, so it requires some workarounds to getting it working on a Mac. Luckily, you can follow this fairly straightforward guide in the video below. It involves installing a media centre application called Kodi, which acts as a front end interface for Acestream, which is the software that does that actual streaming. Go to the Kodi downloads, and select “MacOS”. No, this isn’t actually rugby. Once you have Kodi downloaded and installed, it’s time to find some live streams! 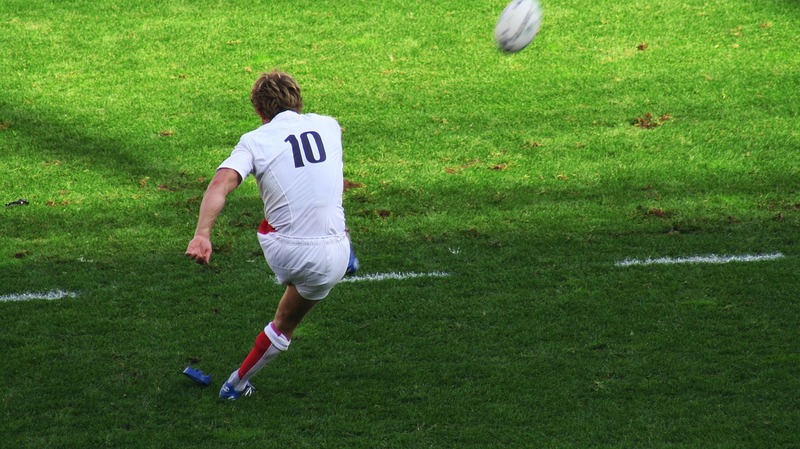 I am a rugby fan, but you can use this tip for almost any sport you like to watch (e.g. football, tennis, NFL…). Step 1: check the rugby match thread on reddit (available on the day of the game). You may find an acestream link there, posted by a user. If not, go to step 2. When you have your preferred channel in mind, go to step 3. 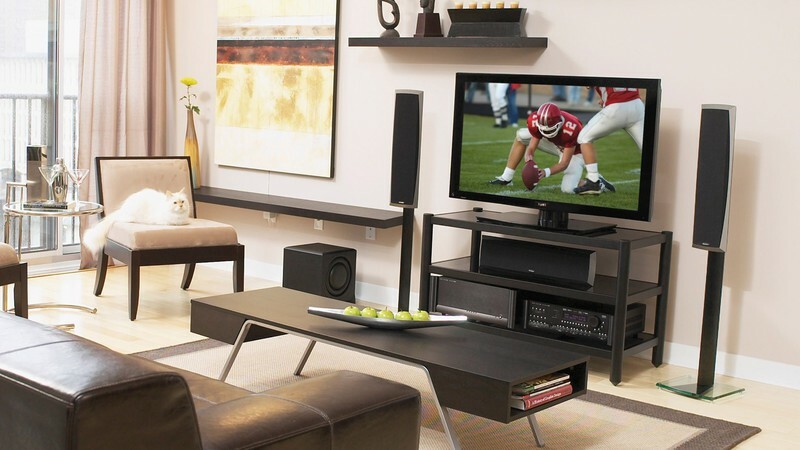 Step 3: find your TV channel on this website. Post any links you find in the Reddit match thread, it’s nice to be nice. Tip 1: If you speak a language other than English, sometimes you can get a better stream, as English streams are often in high demand. Tip 2: If your stream is giving trouble, look for a stream with a lower bitrate (the number listed in Kbps on the link in step 3.) Higher bitrate, e.g. 3000Kbps = crystal clear HD, but you need a fast internet connection to handle that action! I find lower bitrates perfectly watchable, they are usually ~720p quality. Make sure you copy and paste the entire acestream link as highlighted below (if you copy only part of the link, it will most likely not work). Right-click the menu item for AceStream in the menu bar at the top of your screen, click “Options”. Set the live buffer to 30 seconds. 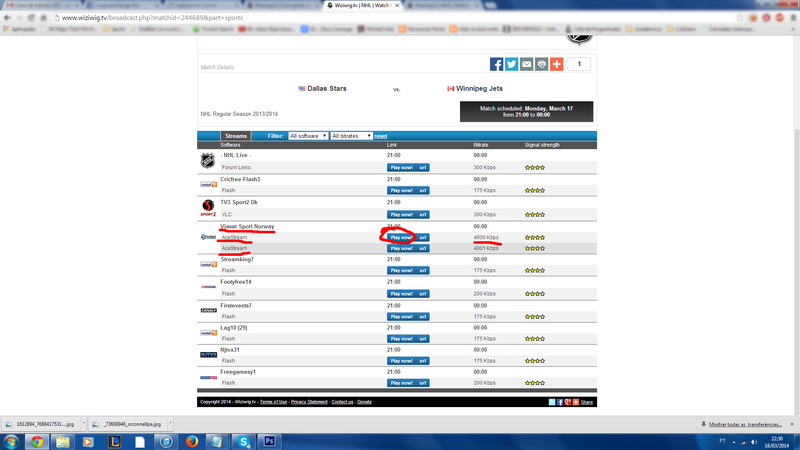 This means that our stream is 30 seconds behind the live broadcast. If our connection is poor, the buffer will run out and our stream will lag. If you still have problems with lagging, increase the buffer. If you have a very fast connection, you can try decreasing it so you are closer to the live broadcast. Disk cache- I set mine to 3 (meaning 3Gb). 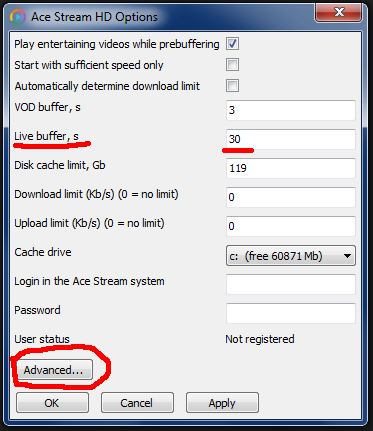 This is the maximum size that you want Acestream to store the live video on your hard drive. Go to Advanced settings. Set total maximum connections to 500. 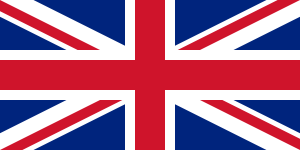 Posted in acestream, best, guide, rugby, torrent streaming sport guide, watch hd sports online on August 16, 2015 by Patrick. 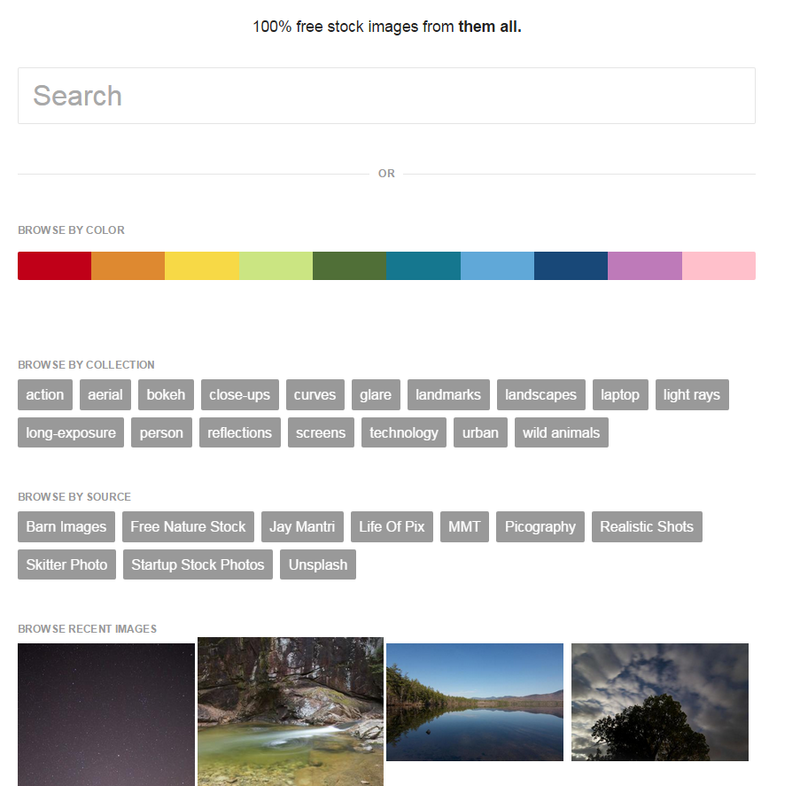 If you have a blog or website, and you need free photos for any use, such as personal or commercial use, look no further. 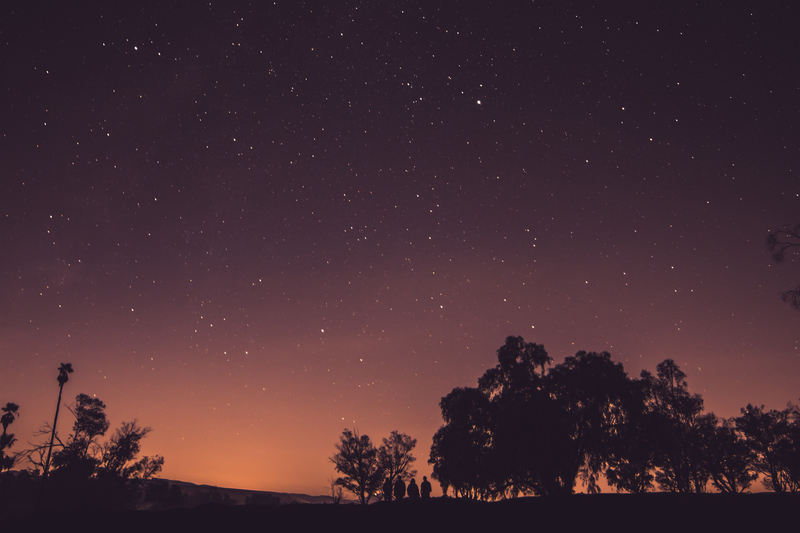 Here is a great list of sites, one of which is bound to have the perfect royalty free photo for your needs. Search by recent, color, tag, source or your own term. Very high quality photos, organised in a grid. 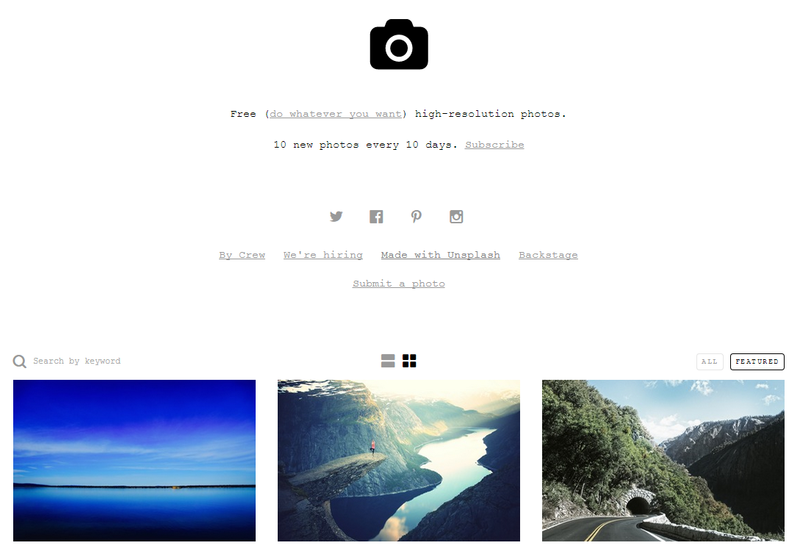 10 new photos every 10 days. Search by new, popular, or your own term. 10 new photos per day. 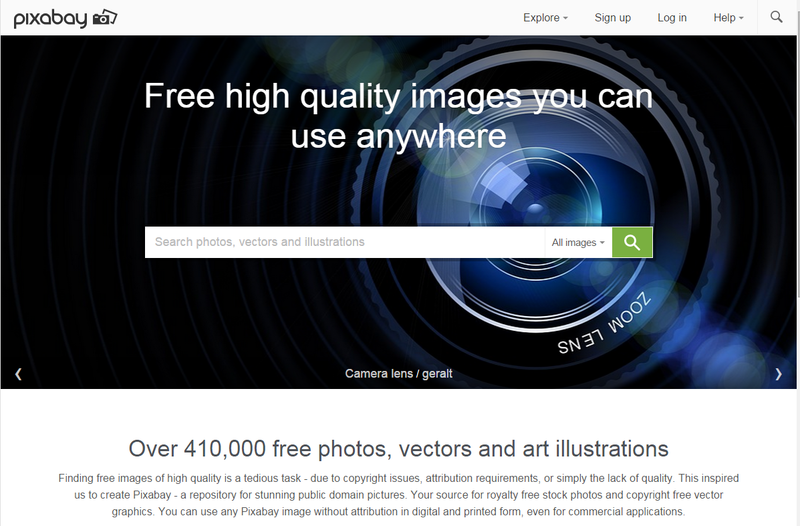 Over 410,000 free photos. 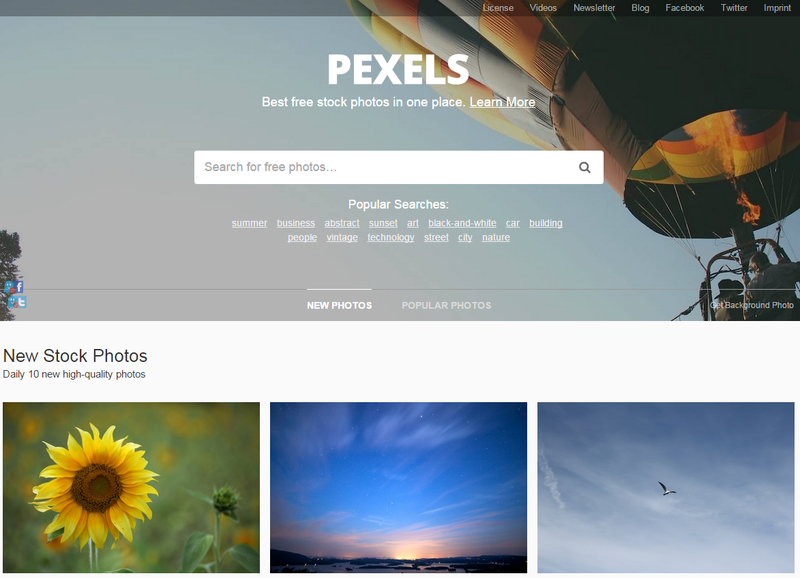 Search by editors choice, categories, Photographers and your own terms. 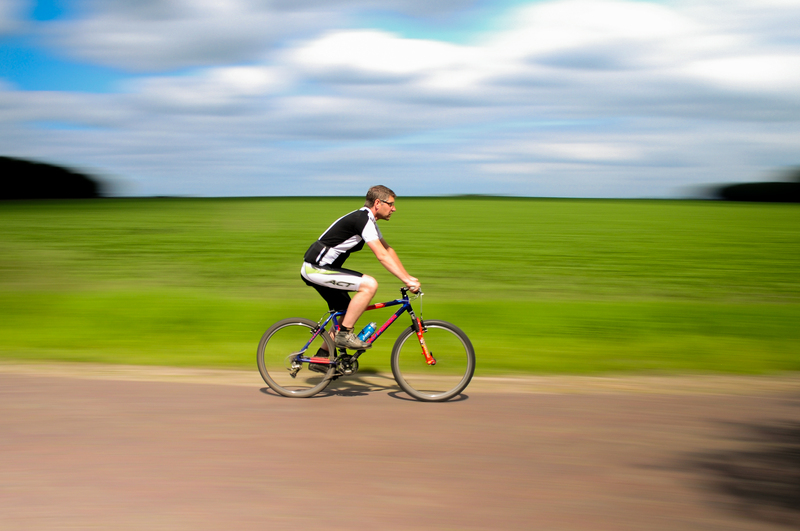 Posted in royalty free picture download on June 23, 2015 by Patrick. This guide will show you how to rank for difficult, relevant keywords to your area of interest. Aim to have only 1 Target Keyword per page. 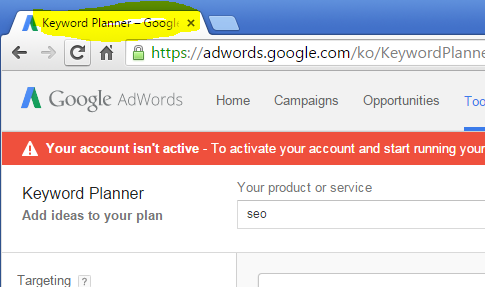 You need to have access to Google Keyword Planner and Google Webmaster Tools. 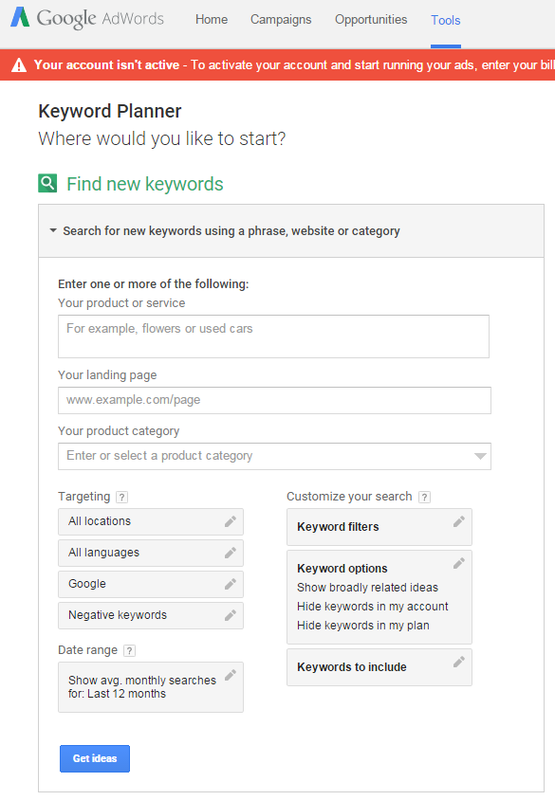 Keyword Planner allows you to plan for the future, to get an idea of search volume before your content goes live. Without this, you are only guessing at which keyword is best. Webmaster Tools allows you to look into the past. It shows which keywords people used to arrive on your website. This allows you to measure success and spot problems. In Webmaster tools, an Impression is when someone searches for something, and a page from your site appears on the results page (it may be clicked on, or not). A Click is obvious, when someone sees your link (an impression) and clicks through to your site. Therefore, Click Through Rate (CTR) is (Impressions/Clicks)*100. Average position is the average place in the page over the given time period. 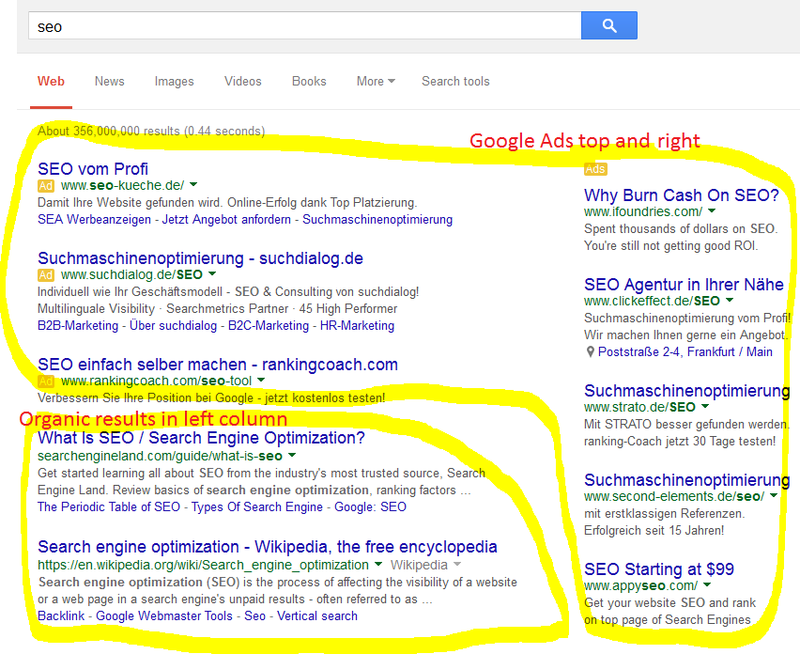 Positions 1 to 10 are in the first page in Google (which is the minimum you need to be). Positions 1 to 3 are best, which get the best CTR. So What is Long Tail SEO? A useful way to categorise search keywords is to put them in one of two groups- head and tail keywords. A head term is a short keyword that gets lots of searches, e.g. “SEO”. A long tail term is a longer keyword that is lower in search volume, but more specific, e.g. 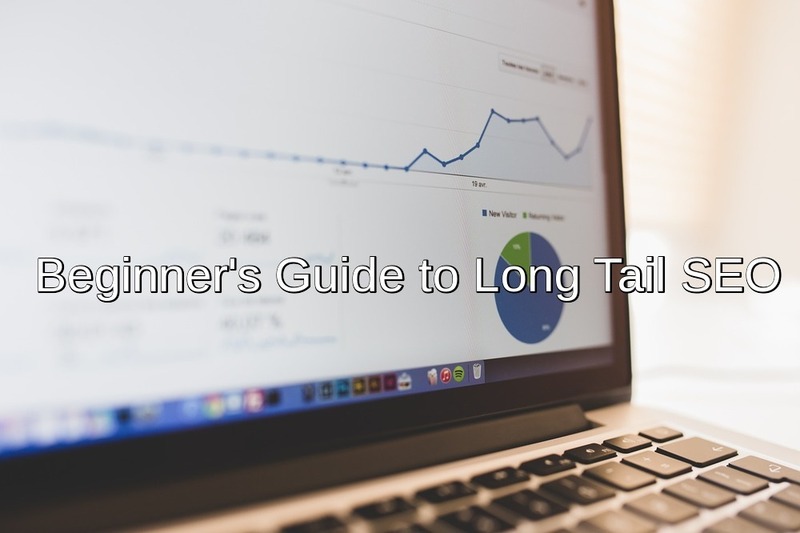 “beginner guide to long tail SEO”. With the second term, we can see the person has a much more specific idea of what they want to find. Often, people search for head terms when doing initial research, and then long tail keywords after doing initial research, and perhaps when ready to commit to a purchase a product. Head terms are extremely popular, but are also difficult to rank for. Long tail search terms are a huge group of lower volume search terms. They are much easier to rank for, and have higher buying intent. If you start ranking for a group of long tail terms, you can also start ranking for the related, head term. I noticed that by making my content such as page titles, subheadings and anchor text longer and more specific, I actually improved by rankings for both head and long tail search keywords in my area of focus. I managed to get the search term into page 1 in Google.com, near the BBC result and the results of large competitors who had a much bigger marketing budget. This guide will show you step by step how to follow this method. Come with me, you lucky thing! Type in some relevant keywords and click the get ideas button. Think of words that people would search for to find the page you are working on. 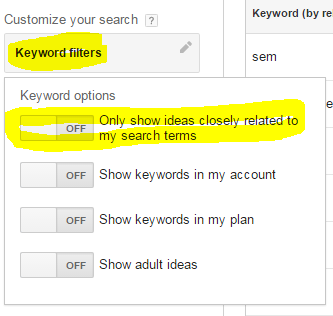 Click on the “Keyword Ideas” tab on the next screen. 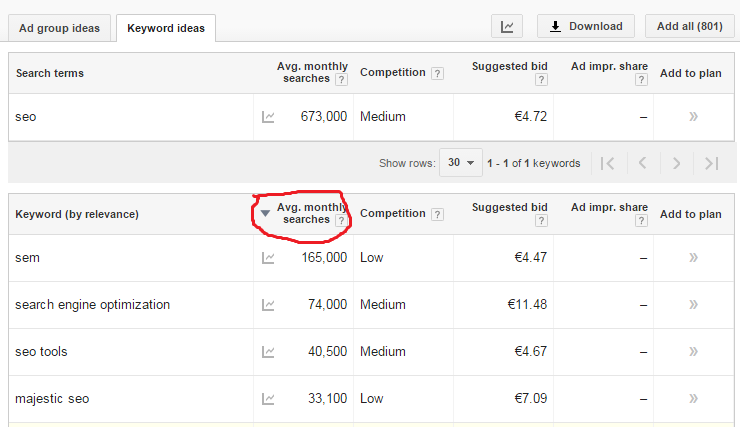 Here you get the average monthly searches, and the competition. 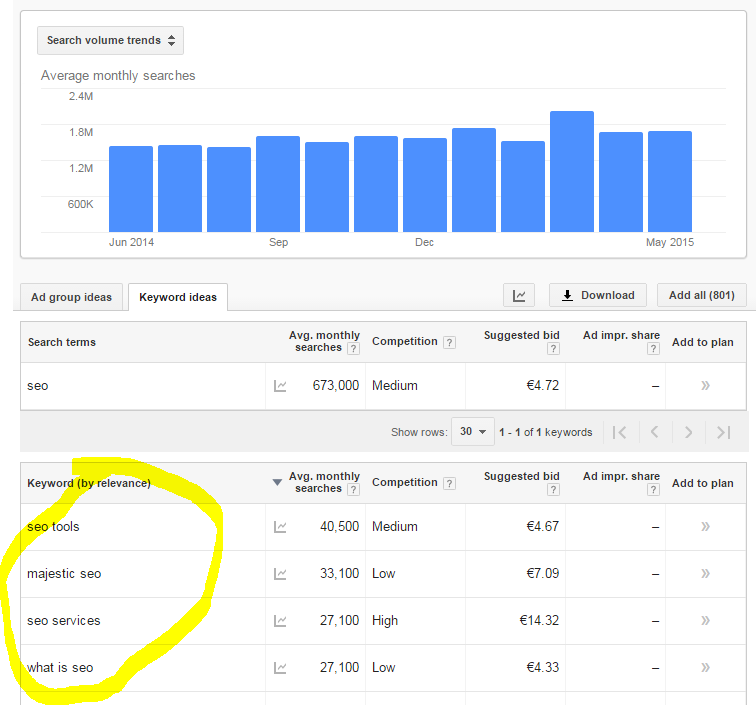 So average monthly searches are important, and you can take competition as just a rough idea of how commercially valuable a keyword is. We can see many results. However, many are unrelated to our keyword. Sometimes, there will be very little results so you don’t need to restrict the results (for example, for very niche or low volume search terms). Other times, it’s useful when there are lots of unrelated search terms. Use this filter option as necessary. Follow the above steps again, get other related keywords. The idea is to get 2 or 3 keyword phrases that you combine into a really long, very detailed keyword. 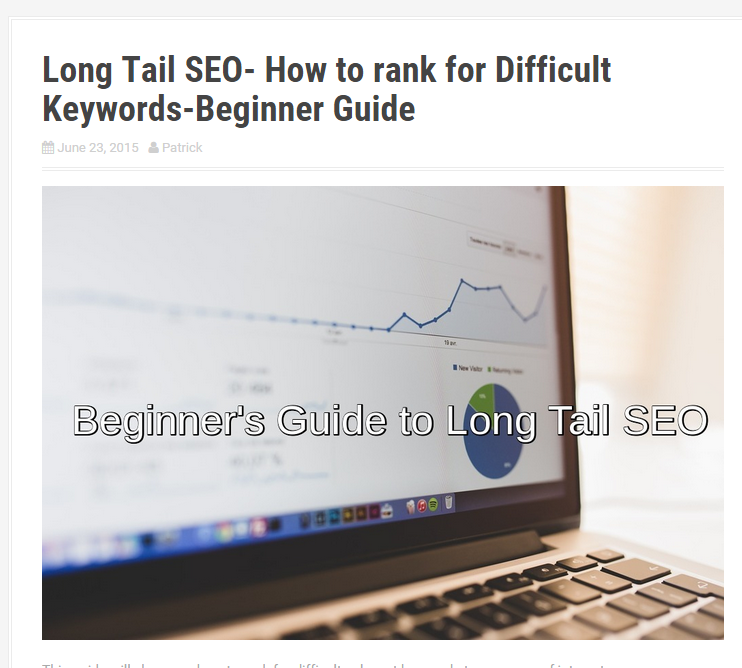 For example, for this page, I like the phrase “Long Tail SEO- How to Rank for Difficult Keywords-Beginner’s Guide”. This is an example of a highly specific, easier to rank for keyword. It’s likely I can rank quickly for this phrase. Here is the good news: using this method, you will start ranking for related, attractive keywords, that have higher volume than the keywords you entered. For example, this page might eventually rank for “Long Tail SEO Guide”, “Long Tail Beginner”, “Rank for difficult keywords” and so on. This is what makes long tail SEO so great! Now that you have 2 or 3 keyword phrases, you must combine these into a phrase that makes sense as a page title or heading. You have seen the example I’ve used with this page. 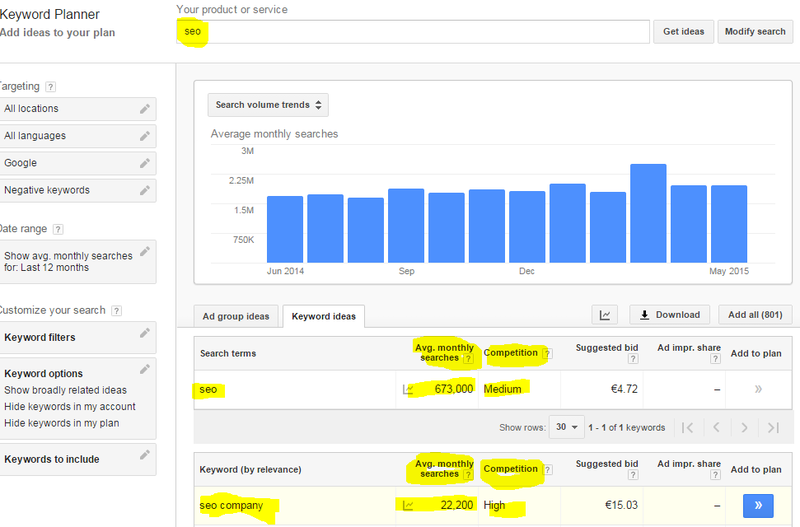 Come up with your own examples by doing research with Keyword Planner. Now that you have your keyword for your page, let’s apply them to your website or blog. There are several places where it’s important to include your keyword. The steps for adding the keyword will be different for each website and blog, depending on your admin backend. Again, this step depends on your content management system or website. Meta description is what appears under your page title in Google…sometimes (sometimes Google takes random text from your page and uses that instead, you cannot control this). It’s limited to 156 characters. Use SEOMofo to optimise your meta description before entering it in your content management system. Add the meta description in your content management system, remember the 156 character limit (SEO Mofo helps with this). In your content management system, you may have extra things like “abstract” and “meta keywords”, ignore because they are useless for SEO. H1 is the main heading on your page. It should always contain your keyword, unless you have a great reason not to. So make sure you add it! If possible, add the keyword here too in H2s, H3s and so on. Remember, don’t spam! If you include the keyword in a heading in a way that doesn’t make sense, this can hurt your rankings. If in doubt, just think about what your readers would find most useful. I includes variations of my target keyword in the H2, H3s on this very page. You can look back at my headings if you are curious. Variations are good because they tell Google the subject you are trying to rank for, without spamming. They also show respect for your reader. Summary: use your common sense when applying keywords to headings. Always try to include the target keyword in H1s. Body content means the regular, non-headings text in your page. Similar rules apply to headings. Use keywords where possible, but don’t spam or make sentences that don’t make sense just to force in a keyword. Try to have a keyword density of about 2-3%. If you use self-hosted WordPress, you can use the WordPress SEO by Yoast plugin to help manage keyword density and other on-page SEO factors. Image ALT (alternative) text is what appears when you hover your mouse over an image, or appears when an image doesn’t load. 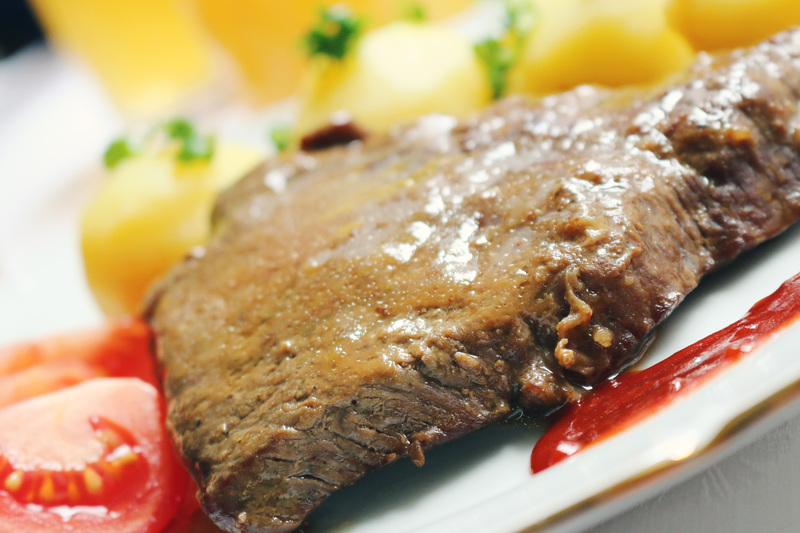 When you upload an image on your website, normally you get an option to edit the ALT text. Again, use common sense, apply keywords where possible. Try to use as many interesting, relevant images as possible, which also serves to break up the wall of text for the user. 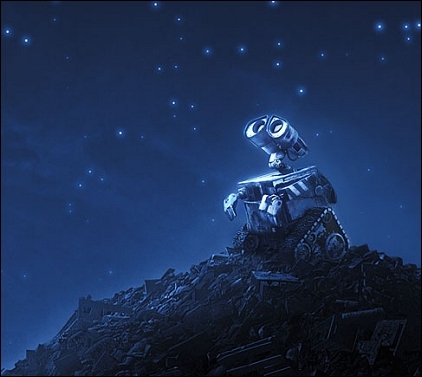 Talking of relevant pictures, here’s an image of a starry sky. Nice, huh? Further reading: using ALT text for SEO. Try to include your keyword in the URL of the page. WordPress has a nice feature, where it includes the page or post title in the URL automatically. Make your URLs friendly for humans to read. Which link would you prefect to click on? If you have an old page with an existing, poor URL: try to change the URL into something that makes sense using redirects. Redirects are important to ensure that Google doesn’t “lose” the page and therefore the SEO value that the page has accumulated is retained. 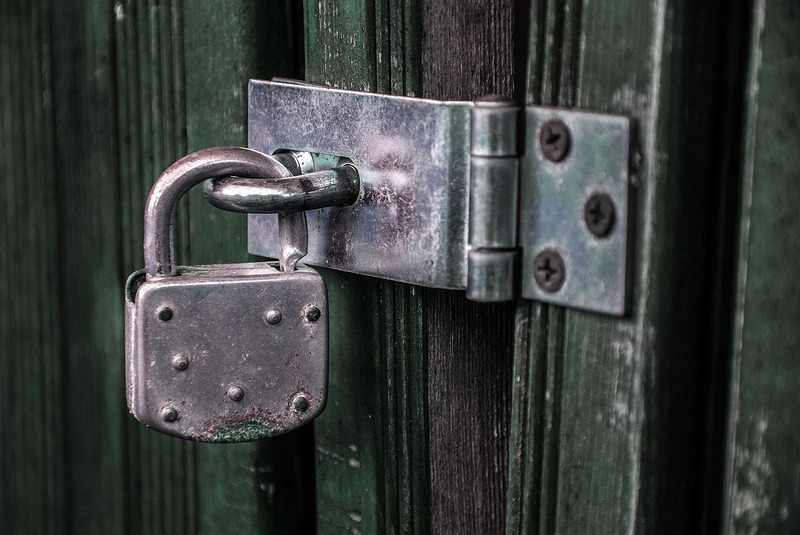 If you are using WordPress, search for redirects plugins to handle the hard work. If you have a new page: create a new, descriptive URL that contains the keywords, where possible. Remember you should be able to guess the page content from the URL. Anchor text is the text in a link. This is an example of anchor text to my post about how the economy works. Anchor text is very important for SEO. Google uses it as an important factor to discover what a particular page is about. If many of your links have “click here” as anchor text, this is a big opportunity missed. Try to use descriptive, keyword-rich anchor text in as many links as you can. Use variations of the keyword because if you have 100 links pointing at a page with identical anchor text, Google knows this is spam. Use as many relevant links all over your website as necessary, and include good, descriptive anchor text with them. Link liberally to your own content, where relevant. Use the exact keyword you are targeting in the anchor text, if possible. I used a nice, non-obvious keyword phrase after careful research in Keyword planner for a past project. I noticed keywords mentioning a variation of the term which I initially thought of were getting decent search volume and had low competition. I added in “Online” in the keyword to make it even more specific, and bang, we started ranking not only for “Online X” but eventually even “X” (the head term getting 1000s of searches a month)! This means the website is in the same results page as the BBC website, which is obviously a high authority, trusted website. Therefore, using Long Tail keywords in your anchor text is very powerful. Another critical place for keyword-rich anchor text is in the page footer. In most websites, the footer appears on every page, so having keyword-rich anchor text can provide a nice SEO boost. So choose good keywords, and link to the most important pages. When you have your keyword, apply it in your content management system to the page title, meta description, H1s, H2s etc, body content, image alt text, URL, anchor text. If you like this guide, follow me on Twitter! You can also send feedback on this guide to me, if you have ideas for improvements. Posted in best, guide, long tail seo and tagged long tail seo guide on June 23, 2015 by Patrick. Ask HN: What are you doing to improve your health? Posted in Uncategorized on April 23, 2015 by Patrick. First of all, this guide was posted originally on /r/rugbyunion wiki by user RodzillaPT. All credit goes to him. He is a rugby fan in Brazil who can’t watch rugby as it is often not shown on local TV. You can use this guide to watch almost any sport online – Premier league football, rugby, NFL, NBA, NHL, you name it! 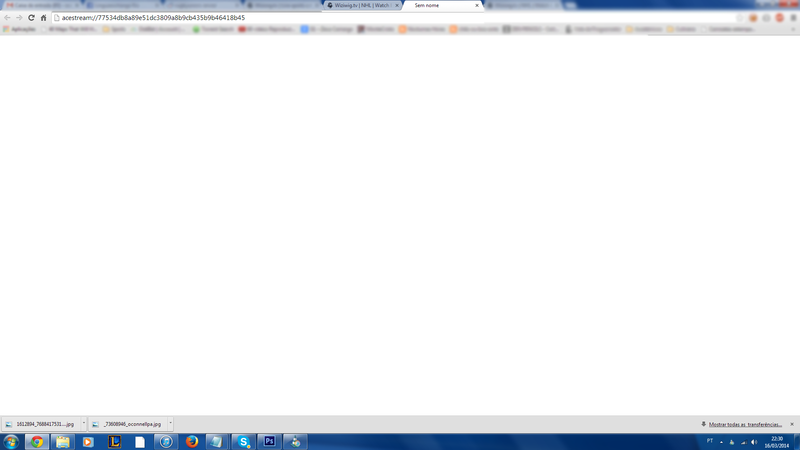 So, the way to a good stream is not through flash streams on website. The proper way is torrenting streams. First, you’ve got to download your client. I’m not aware of other softwares, perhaps they are out there, but I use AcePlayer. 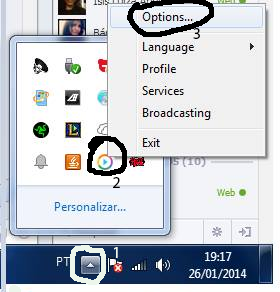 After you’ve downloaded and installed it, head to the windows toolbar (1). Right click on (2), and pick ‘options’ (3). Set the main settings somewhat like this. The live buffer time is a real important deal. I think most guides will tell you to use 10, but I like to go with 30. This time is very important. You see, these streams are really high quality. usually ranging from 900kbps to 2000kbps. If you have a bad peak on the internet and a low buffer time, it might stutter and the fun is ruined. Using a high timer like 30 seconds in a buffer, allows for a bigger margin of error. Play with numbers and pick the one that seems the best to you. After that, pick ‘advanced’, just like the picture shows you. 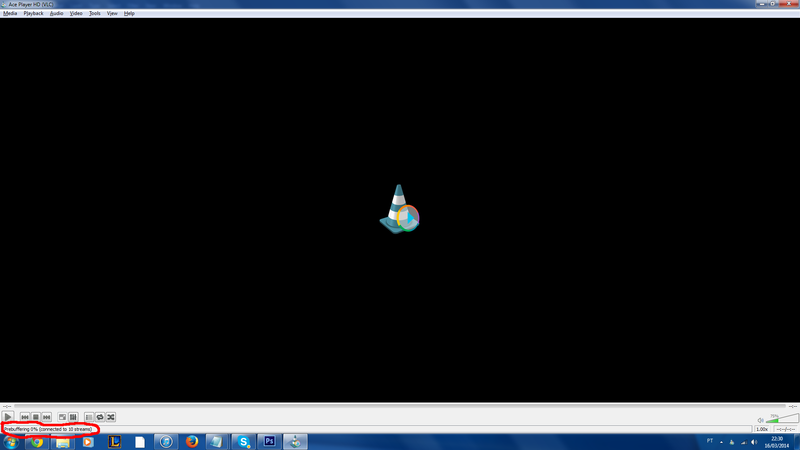 In this last screen, try to leave it somewhat like this. Ok in both screens and close the settings. The software is ready to be used. Now, we need to find us a stream. The site Wizwig does a great job at that. 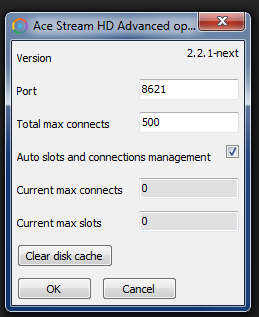 Not only they display browser streams, but they also display AceStream streams. 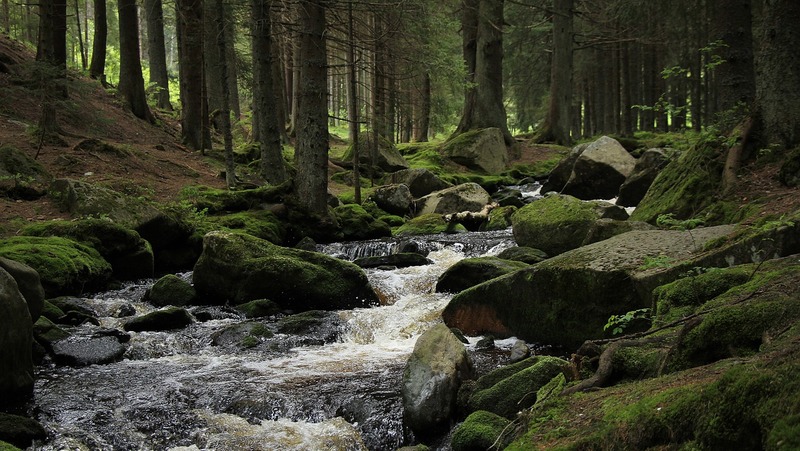 They also state the bitratio of each stream, helping you to pick the best without trial and error. The site also syncs with your timezone, so you don’t have to do weird math to find out when each match will be. Everyday, the available matches for that day will be displayed in this screen. Today (Sunday night) there are no Rugby Streams available so they show none. For the sake of teaching, I’ll be using another sport. Not many matches on right now, so I headed over to the Live Sports section and started to look for a match. 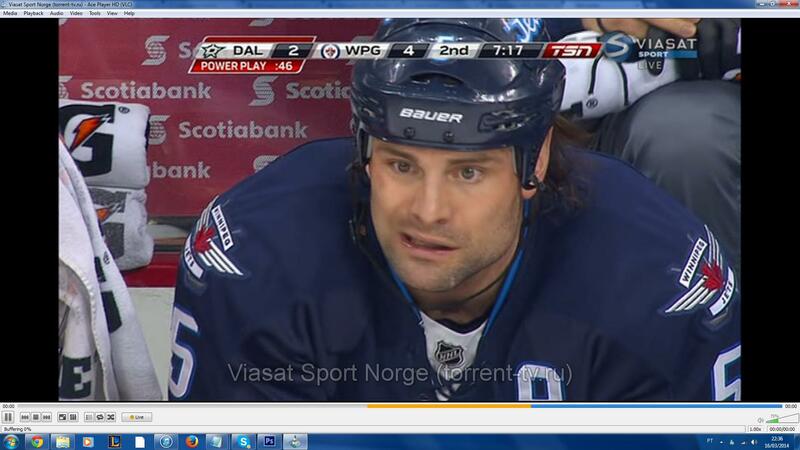 I got lucky with a NHL match, so I clicked ‘Live’. 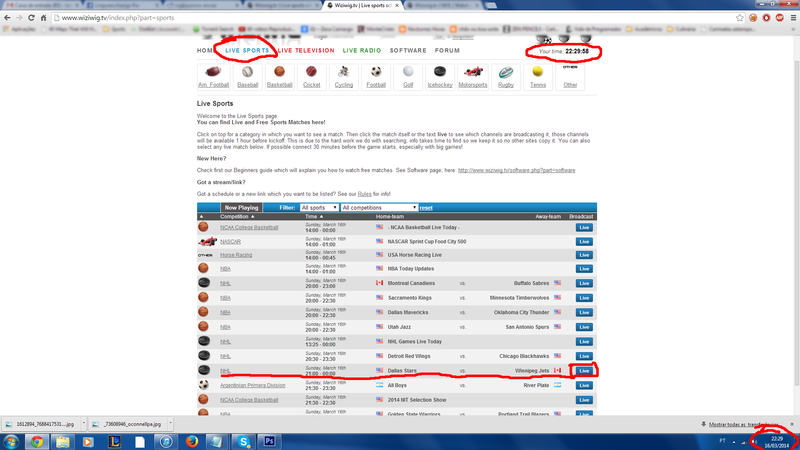 (please, take notice that the site clock is synched with mine). The match screen. 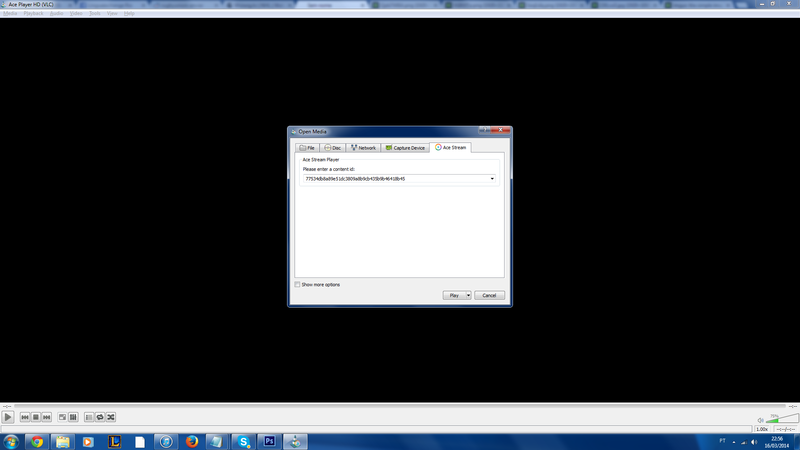 It shows a couple of streams for the match, the channel that’s being streamed and their bitrate. I pick the AceStream one. the top link. The bottom one leads to some russian weird stuff. 4000kbps is way too much for me to handle (Damn Norwegians and your top quality internet! ), but let’s open it anyway (I’ve never seen a 4000kbps Rugby stream. so, this most likely won’t be a problem). After I click on “Play Now!”, a blank page appears. Please look at the url. This page will activate the AcePlayer, which will start buffering as soon as it’s open. If it doesn’t, something is off. Worry not. If your match is about to start, don’t try any harder. You can open the AcePlayer yourself, press ctrl + T, and add the Stream ID manually. The ID is basically the blank page URL without the “acestream://” bit. After a couple of seconds buffering, your match will be on. If everything is fine, and your internet cooperates, you’ll be able to enjoy a stutterless match in pretty good quality. This won’t be available for every match, but it’s always worth the shot. There has been some regular broadcast of Super Rugby matches, at least. I’ve watched the Rebels x Crusaders match on a 900kbps stream. I’ve also watched a couple of Six Nations matches in it. Note: Guide for downloading Youtube videos for Windows coming soon! This is the complete guide to downloading videos, playlists and music from Youtube, without using any dodgy websites or crap-filled Youtube downloader software. This easy to follow guide will show you how to download to your heart’s desire- for free! 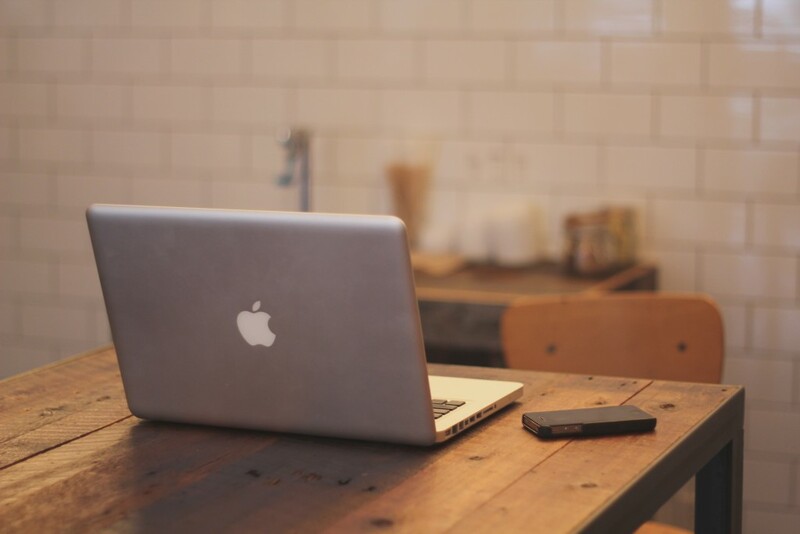 I wrote this guide to steer people away from frustrations trying to download Youtube videos. I myself once used a Greasemonkey script for my video downloads, but unfortunately when Youtube’s interface was updated it broke the script, never to work again. This utility we are using today completely removes all these types of headaches. We are using a free utility called Youtube-dl. This fantastic piece of software is complete free and open-source, ad-free, downloads videos, music and playlists from Youtube and is constantly updated by an amazing team of volunteers. Go to the youtube-dl site. Ok, time to open your Terminal, don’t be alarmed! Open Terminal by pressing Cmd+Spacebar (by default on Mac), search for ‘Terminal’ in Spotlight, then press Enter when you find it. You will be prompted to enter your Mac password for your account (same one as when you login). Do so now. This command downloads the required Youtube-dl files. Once again, enter your password if prompted. This command changes file permissions so we are ready to continue to the fun part. Ok, now for the fun bit! Let’s download a video! I am a fan of American Psycho, so let’s download the American Psycho Business Card Scene. You see this screen when the video is downloading. And that’s it for downloading a video from Youtube!! Simple huh? Added Bonus: Download from many different video sites! Despite it’s name, youtube-dl supports downloads from many different websites. Use the same commands as above! So there you have it! 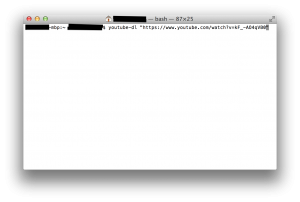 Hope you enjoyed this easy to follow guide to downloading Youtube videos on your Mac. Guide to downloading Youtube on Windows coming soon! Posted in best, download youtube, download youtube music, download youtube videos, free youtube downloader, guide, how to download youtube, youtube download on January 17, 2015 by Patrick. I love this video. It’s by a hedge fund manager called Ray Dalio, and it’s a simplified framework that he uses to guide his investment decisions. You can use it to understand how an economy works at a fundamental level. Fascinating stuff, and beautifully presented too. How the economic machine works, in 30 minutes. The economy works like a simple machine. — and this has led to a lot of needless economic suffering. to share my simple but practical economic template. and has worked well for me for over 30 years. it works in a simple, mechanical way. that are repeated over and over again a zillion times. and they create 3 main forces that drive the economy. and figuring out what’s happening now. and a transaction is a very simple thing. You make transactions all the time. you can know the total spending. And that’s it. That’s a transaction. in an economy are driven by transactions. making transactions for the same thing. in all of its markets. for goods, services and financial assets. and credit in the economy. and probably the least understood. so do lenders and borrowers. something like starting a business. and borrowers get what they want. plus an additional amount, called interest. to create credit out of thin air! because it has different names. it immediately turns into debt. and a liability to the borrower. and the transaction is settled. So, why is credit so important? he is able to increase his spending. every dollar you spend, someone else earns. the ability to repay and collateral. Having a lot of income in relation to his debt gives him the ability to repay. In the event that he can’t repay, he has valuable assets to use as collateral that can be sold. This makes lenders feel comfortable lending him money. this leads to more increased borrowing and so on. and is why we have Cycles. but that isn’t necessarily true over the short run. 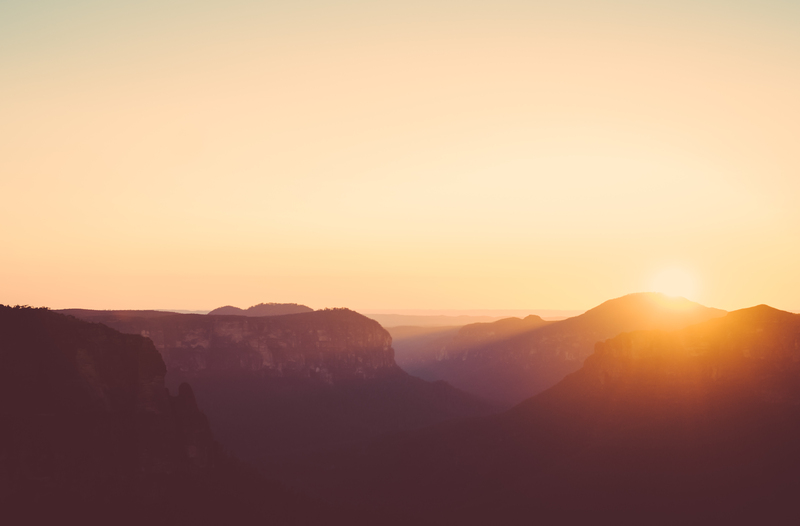 Productivity matters most in the long run, but credit matters most in the short run. so it’s not a big driver of economic swings. and it forces us to consume less than we produce when we pay it back. Debt swings occur in two big cycles. One takes about 5 to 8 years and the other takes about 75 to 100 years. because they see them too up close — day by day, week by week. and how they interact to make up our experiences. they’re primarily due to how much credit there is. Let’s for a second imagine an economy without credit. which requires me to be more productive and do more work. Increased productivity is the only way for growth. the economy grows every time I or anyone else is more productive. we see a progression like the productivity growth line. But because we borrow, we have cycles. it’s due to human nature and the way that credit works. Think of borrowing as simply a way of pulling spending forward. In order to buy something you can’t afford, you need to spend more than you make. To do this, you essentially need to borrow from your future self. that you need to spend less than you make in order to pay it back. It very quickly resembles a cycle. Basically, anytime you borrow you create a cycle.? This is as true for an individual as it is for the economy. a mechanical, predictable series of events that will happen in the future. This makes credit different from money. Money is what you settle transactions with. the transaction is settled immediately. it’s like starting a bar tab. You’re saying you promise to pay in the future. Together you and the bartender create an asset and a liability. You just created credit. Out of thin air. The reality is that most of what people call money is actually credit. and the total amount of money is only about $3 trillion. the only way to increase your spending is to produce more. you can also increase your spending by borrowing. but not over the long run. credit isn’t necessarily something bad that just causes cycles. It’s bad when it finances over-consumption that can’t be paid back. and produces income so you can pay back the debt. for you to pay back the debt. and improve your living standards. and see how credit creates growth. Suppose you earn $100,000 a year and have no debt. even though you only earn $100,000 dollars. someone is earning $110,000 dollars. even though he has only earned $110,000 dollars. works in a self-reinforcing pattern. and if the cycle goes up, it eventually needs to come down. This leads us into the Short Term Debt Cycle. Spending continues to increase and prices start to rise. When prices rise, we call this inflation. Seeing prices rise, it raises interest rates. With higher interest rates, fewer people can afford to borrow money. And the cost of existing debts rises. on your credit card going up. incomes drop…and so on and so forth. When people spend less, prices go down. Economic activity decreases and we have a recession. the central bank will lower interest rates to cause everything to pick up again. and we see another expansion. As you can see, the economy works like a machine. lenders and borrowers to provide and receive credit. And note that this cycle is controlled primarily by the central bank. and happens over and over again for decades. with more growth than the previous cycle and with more debt. and spend more instead of paying back debt. creating the Long Term Debt Cycle. lenders even more freely extend credit. Because everybody thinks things are going great! People are just focusing on what’s been happening lately. And what has been happening lately? Asset values are going up! When people do a lot of that, we call it a bubble. incomes have been growing nearly as fast to offset them. Let’s call the ratio of debt-to-income the debt burden. the debt burden stays manageable. At the same time asset values soar. causing their prices to rise even higher. help borrowers remain creditworthy for a long time. But this obviously can not continue forever. creating larger and larger debt repayments. forcing people to cut back on their spending. causing borrowing to go down. …and the cycle reverses itself. This is the long term debt peak. Debt burdens have simply become too big. and in the United States back in 1929. Now the economy begins Deleveraging. and the whole thing starts to feed on itself the other way. Scrambling to fill this hole, borrowers are forced to sell assets. the real estate market tanks and banks get into trouble. As asset prices drop, the value of the collateral borrowers can put up drops. This makes borrowers even less creditworthy. less borrowing and so on. is that interest rates can’t be lowered to save the day. In a recession, lowering interest rates works to stimulate the borrowing. low and soon hit 0% – so the stimulation ends. and can’t be relieved by lowering interest rates. Lenders realize that debts have become too large to ever be fully paid back. Borrowers have lost their ability to repay and their collateral has lost value. They feel crippled by the debt – they don’t even want more! So what do you do about a deleveraging? The problem is debt burdens are too high and they must come down. There are four ways this can happen. 1. people, businesses, and governments cut their spending. 2. debts are reduced through defaults and restructurings. 3. wealth is redistributed from the ‘haves’ to the ‘have nots’. and finally, 4. the central bank prints new money. These 4 ways have happened in every deleveraging in modern history. Usually, spending is cut first. cut their spending so that they can pay down their debt. This is often referred to as austerity. and start paying down old debts, you might expect the debt burden to decrease. and the debt burden actually gets worse. this cut in spending is deflationary and painful. which means less jobs and higher unemployment. This leads to the next step: debts must be reduced! — and a borrower’s debts are a lender’s assets. so they rush to withdraw their money from the bank. businesses and banks default on their debts. economic contraction is a depression. was their wealth isn’t really there. Let’s go back to the bar. you promised to repay the bartender. Your promise became an asset of the bartender. then the ‘asset’ he has isn’t really worth anything. or at a lower interest rate that was first agreed. a contract is broken in a way that reduces debt. little of something than all of nothing. so the debt burden continues to gets worse. is also painful and deflationary. 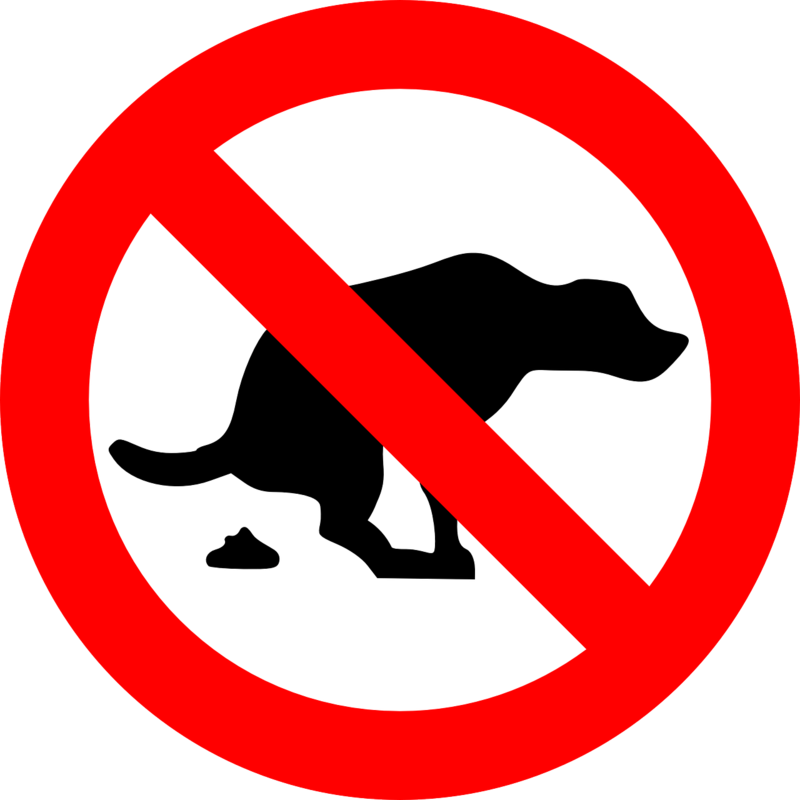 means the government collects fewer taxes. At the same time it needs to increase its spending because unemployment has risen. and need financial support from the government. and increase their spending to make up for the decrease in the economy. deleveraging because they spend more than they earn in taxes. This is what is happening when you hear about the budget deficit on the news. who is the money going to come from? from the ‘haves’ to the ‘have nots’. If the depression continues social disorder can break out. 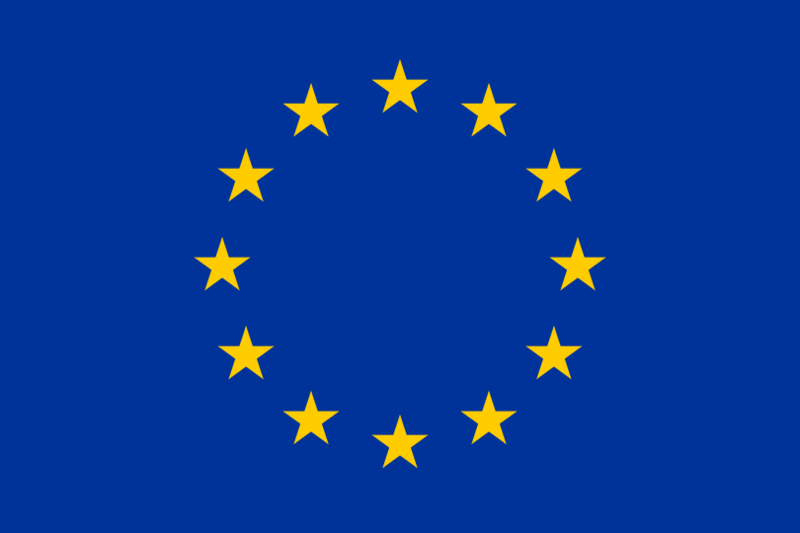 they can rise between countries – especially debtor and creditor countries. that can sometimes be extreme. to end the depression increases. Remember, most of what people thought was money was actually credit. So, when credit disappears, people don’t have enough money. People are desperate for money and you remember who can print money? the Federal Reserve — printed over two trillion dollars. printed a lot of money, too. it helps drive up asset prices which makes people more creditworthy. However, this only helps those who own financial assets. You see, the central bank can print money but it can only buy financial assets. it will lower the economy’s total debt burden. You see, a deleveraging can be ugly or it can be beautiful. How can a deleveraging be beautiful? handling a difficult situation in the best possible way is beautiful. and inflation isn’t a problem. It is achieved by having the right balance. and printing money so that economic and social stability can be maintained. People ask if printing money will raise inflation. It won’t if it offsets falling credit. Remember, spending is what matters. of spending paid for with credit. with an increase in the amount of money. entire country makes in a year. let’s say it is 2%. is only growing at around only 1%, you will never reduce the debt burden. people prefer it to the alternatives. If policymakers achieve the right balance, a deleveraging isn’t so dramatic. Growth is slow but debt burdens go down. When incomes begin to rise, borrowers begin to appear more creditworthy. lenders begin to lend money again. Debt burdens finally begin to fall. leading to the reflation phase of the long term debt cycle. if handled well, it will eventually fix the problem. where we are now and where we are probably headed. because your debt burdens will eventually crush you. because you will eventually become uncompetitive. because, in the long run, that’s what matters most. This is simple advice for you and it’s simple advice for policy makers. This template has worked for me and I hope that it’ll work for you. 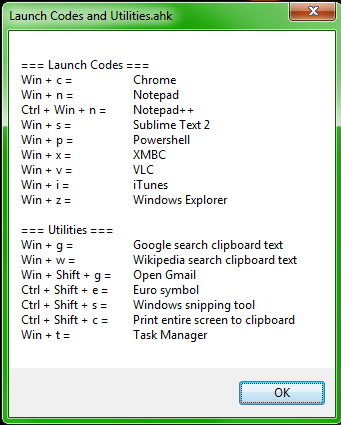 There’s a very useful, lightweight and simple-to-use productivity utility for windows called AutoHotKey. I used it to create a simple script to save time for myself with repetitive tasks. I’ve provided the Autohotkey script in Github so you can use it as a starting point to build your own custom scripts. Use it as you see fit, all of the tasks within are collated or modified from stuff in the Autohotkey help file (which you get when you download the AHK download bundle), or from the extremely helpful Autohotkey forum. What tasks do I use it for? Launching common apps, like Chrome and Notepad, with just two key presses. Reducing my email address to three letters, which then expands to my full address. Very useful for repetitive logins! Running a google search with Ctrl+C, Win+G. For example, I could highlight something in a PDF, and google it very quickly rather than pasting it into a browser tab. As above, except it searches wikipedia directly instead of google. Print entire screen to clipboard with three keystrokes. Help message box for all of the above. Earn a 15% return with Bitcoin, on autopilot! Passive bitcoin lending.